The troubled people of war-torn Chambria are on the brink of starvation, and a delicate princess with a recurring nightmare is their only hope. Alexandra knows that her value to her country consists mainly in her ability to marry well, but when she is kidnapped by the rebels and taken to meet the man claiming to be both Chambria’s true king and her real father, her entire world falls apart. Will Princess Alexandra be able to untangle the web of lies and discern who is the true king and her father? 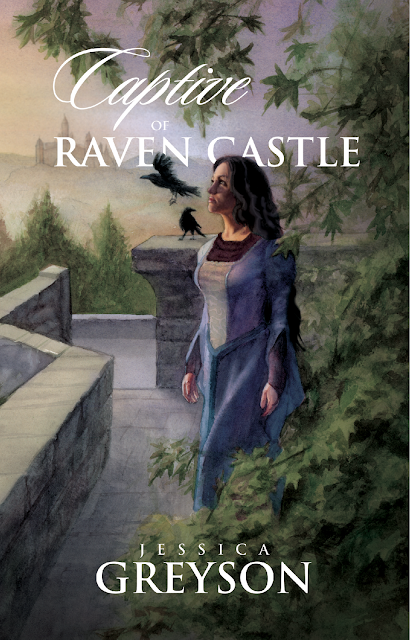 This lovely book cover was painted and design by Louie Roybal you can check out more of his art work here and contact him about purchasing prints of his work (You could have Annabeth's cover art hanging on your wall if you REALLY wanted to!) here @ louieroybal.com. He is a fantastic artist, and so fabulous to work with! 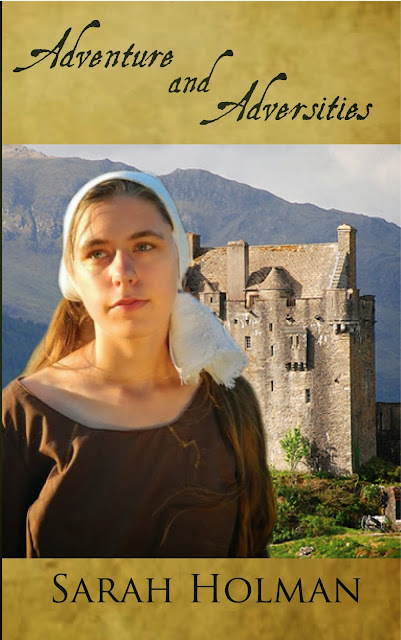 One day Alditha is content living with her family, the next she is taking her friends place to serve at the king’s castle. Her father's final instructions, to keep smiling and to do what is right, will be harder to live out then she ever imagined. She will face a royal nephew who delights in making people miserable, an angry servant girl that will stop at nothing to get what she wants, and noblemen who plot murder. Will she be able to keep the promise she made to her father? Will she find the faith she longs for during all her Adventures and Adversities. I've really enjoyed working with Sarah and getting to know her more as a writer and friend! And don't forget that Anne Elisabeth is giving away Annabeth's War on her blog!